When you fly halfway around the world for a photo, the least the location can do is cooperate when it comes to the weather! Truth be told, I have been extremely lucky the past few years (knock on wood!!!). Whether it was January in Geneva Switzerland or the constantly fantastic weather in Hawaii…most of the time I have at least a few good days of mostly sunny (with some pretty cloudiness) weather. Our first trip to Hong Kong was an exception and we kept putting off Victoria Peak because of the blanket of clouds. We chose well as our last night was a clear as it got! Sometimes I end up going to a place I have been before. The secret of cheap travel (are you ready for this revelation?) is to go where the fares are inexpensive, not necessarily where you WANT to go. If the fares take you to Milan, Italy two times this year, then just take the train to Venice. If you missed a clear Victoria Peak shot on your first try in Hong Kong…maybe the second try will pan out! 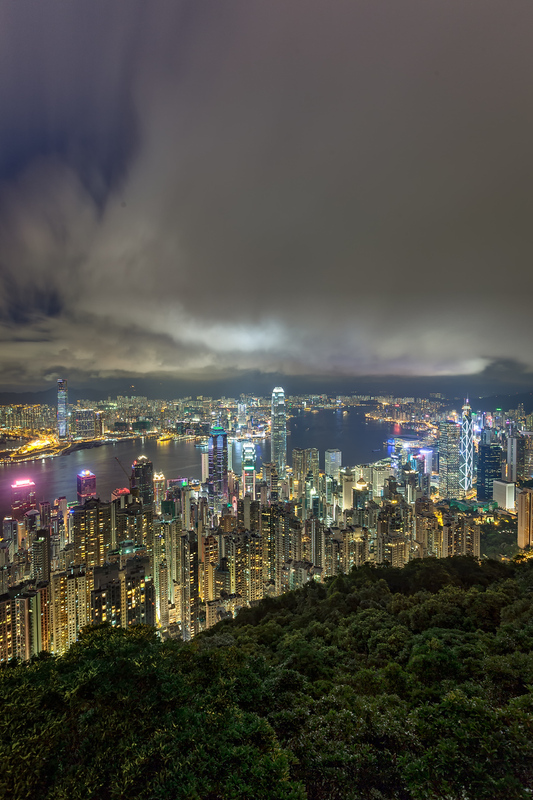 Posted in China, HDR Photography, Hong Kong, Travel and tagged Asia, China, city, cityscape, Hong Kong, night by Bri Duncan.